Experiencing numbness and a loss of sensation in any part of your body can be terribly uncomfortable. 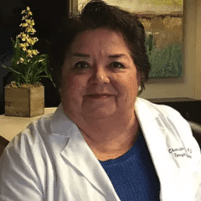 Neuropathic expert Dr. Yvonne Ortega, MD, FACEP, of St. Luke Integrative Medical Center in Huntsville, Alabama, helps patients suffering from numbness with the most advanced, groundbreaking treatments. Call or schedule an appointment online for a consultation to find out how Dr. Ortega can help you eliminate numbness. Numbness, also called paresthesia, is a loss of sensation or feeling in a part of your body. Other changes in sensation, such as a pins-and-needles feeling, burning, itching, or tingling, may often accompany it. Damage, irritation, or compression of nerves often cause numbness. It can therefore occur along a single nerve on one side of the body or symmetrically on both sides of the body. Usually, the affected nerves are located in the hands and feet. What is the treatment for numbness? If persistent numbness is the result of a specific medical condition or injury, you may need treatment to alleviate the numbing sensation. Dr. Ortega is a leader in her field, and offers a wide range of treatment options. She first conducts a thorough examination to determine the cause and history of your numbness. It may be related to peripheral neuropathy, especially if you have diabetes, which fortunately is highly treatable using Dr. Ortega’s proven noninvasive approach. She uses the latest, most advanced regenerative stem cell therapy to ease numbness caused by damaged nerves. This groundbreaking, noninvasive approach reduces numbness without surgery, medications, or pain. Many of Dr. Ortega’s patients experience successful results from cutting-edge stem cell regenerative medicine at her beautiful, state-of-the-art facility. Living with numbness on a long-term basis can significantly compromise your quality of life. Dr. Ortega of St. Luke Integrative Medical Center in Huntsville, Alabama, restores your health so you can once again enjoy your favorite activities. Call or schedule an appointment online to get the relief you need from a leader in the field.